July 25, 1937 in Red Oak, Texas to Kent and Irene Stanford. He married Ann Perry Stanford on March 27, 1970. He was a lifelong resident of Ellis County living in Red Oak and Waxahachie. Von and Ann ran several successful businesses in Red Oak until their retirement in 2016. Their most successful business was their catering business that they ran for the last 25 years. 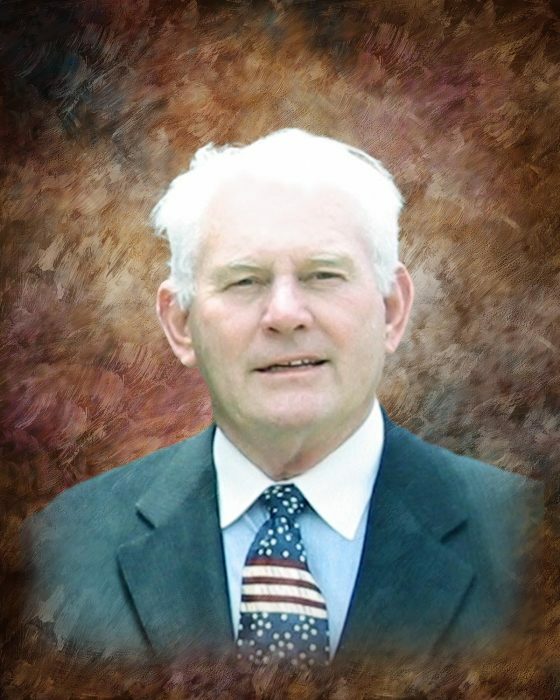 Von was active in the Red Oak community and was a member of the Cemetery Board. Von is preceded in death by his parents, Kent and Irene Stanford, two children, Billie Perry Parten and James Perry and three grandchildren, Brandon Perry, Sean McBride and Emily Perry. He is survived by his wife of 49 years Ann Stanford and six children Becky (Doug) Cockerham of Red Oak, TX, Bobby (Jan) Perry of Maypearl, TX, Katie (Bob) Shaw of Waxahachie, TX, Tracy (Ross) McBride of DeSoto, TX, John (Jo) Perry of Waxahachie, TX and Shelly Perry Baumann of Maypearl, TX. He is also survived by daughter-in-law Rilla Perry of Maypearl, TX. Von had 10 grandchildren Camille (Alfonso) Escobedo of Friendswood, TX, DeAnn (John) Kazen of Laredo, TX, Bradley (Francis) Perry of Weatherford, TX, Kristi (Travis) Weaver of Waxahachie, TX, Bill Perry of Spokane, WA, Renee Jolley of Dallas, TX, Jennifer Aulds of Waxahachie, TX, Brenna (Michael) Muscatell of Hillsboro, TX, Chance (Christalyn) Parten of Abernathy, TX, and Will Perry of Waxahachie, TX. He had 13 great-grandchildren: Destiny, Mia and Ava Escobedo, Taylor (Rodney) Lippell and Britany Perry, Shelby (Drew) Barnes and Matt Perry, Lexi Weaver, Cauley, Christian and Cord Parten, Barret and Hollis Muscatell. Von had two great great grandchildren Kyle Escobedo and Rillee Lippel. Von is also survived by three sisters and a brother Sylvia Smith, Janice Davis and Linda Stanford of Red Oak, TX and Kevin (Carla) Stanford of Corsicana, TX. His surviving nephews are Brent, Nathan, Kent and David Davis, Neal Smith, and niece Leslie Loving. The family will be celebrating Von’s life with a visitation on Thursday, March 28 from 6-8PM at Wayne Boze Funeral Home 1826 W. Hwy 287 Business, Waxahachie, TX 75165 with the service on Friday, March 29 at 2PM at Wayne Boze Funeral Home and interment following at Red Oak Cemetery 599 TX-342 Red Oak, TX 75154. The family and friends will be received at the Best Western in Waxahachie, 1701 North Hwy 77, immediately following interment.